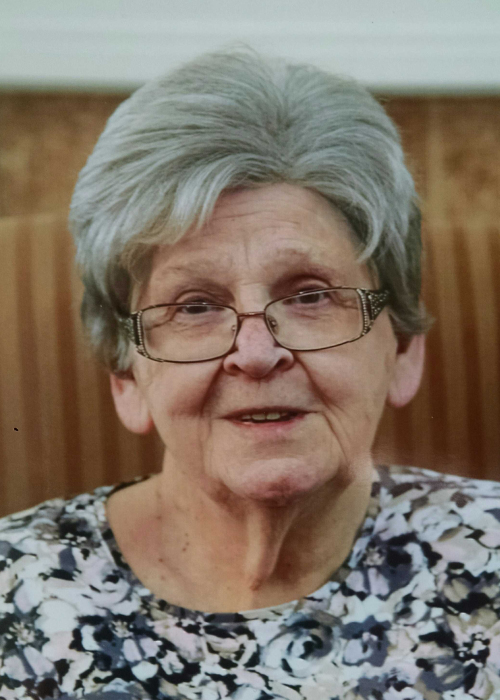 Myrtle C. Voss, age 88 of Carlyle, passed away at the Carlyle Healthcare Center on Wednesday, August 29, 2018. Mrs. Voss was born on December 14, 1929, in Waterloo, Illinois, a daughter of the late Emil and Melba (Hoelscheor) Loehr. She married Joseph W. Gilbreth on January 24, 1948, and he preceded her in death on August 29, 1975. She married Joseph B. Voss of July 7, 1982, and he preceded her in death on October 14, 2012. Myrtle is survived by her children – Mike Gilbreth and wife Joann of Carlyle, Steve Gilbreth and wife Chris of Jacksonville, IL, Judy Kueper and husband Ken of Carlyle, Dan Gilbreth and wife Judy of Bartelso, Joan Stairs of Fredericktown, New Brunswick, Canada, Jeff Gilbreth and wife Lois of Breese, Kevin Gilbreth and wife Tammy of Pierron, and Theresa Beckmann and husband Keith of Beckemeyer; 24 grandchildren and 29 great grandchildren; her step children – Geri Wobbe and husband Dan of Breese, and Rosemary Hughes and husband Tom, Charles Voss and wife Norma, Joe A. Voss and wife Joan, and Ralph Voss and wife Karen, all of Carlyle; 15 step grandchildren and 31 step great grandchildren; and a sister-in-law – Ethyl Loehr of Waterloo. In addition to her parents and her husbands, Mrs. Voss was preceded in death by her siblings – Dorothy Oexner and husband Kenny, Ruth Friedrich and husband Vernon, Leroy Loehr, Donny Loehr, and Delores Mae Loehr. Myrtle was a member of St. Mary’s Church in Carlyle and was active in St. Ann Altar Sodality. She was a member and past president of the Carlyle Knights of Columbus Auxiliary. She was a homemaker while she raised their family and later worked for 16 years as a bus driver for the Carlyle School District. Her greatest joy was spending time with her family, and she also enjoyed playing bingo, dancing, and riding around looking at deer. A Mass of Christian Burial will be celebrated at 10:00 A.M. on Saturday, September 1, 2018, at St. Mary’s Church in Carlyle with Fr. George Mauck, celebrant. Interment will follow at St. Mary’s Cemetery. Visitation will be held at Zieren Funeral Home on Friday, August 31, 2018 from 4:00 – 8:00 P.M. and on Saturday morning from 8:00 – 9:30 A.M.
Memorial donations in memory of Mrs. Voss are suggested to Hospice of Southern Illinois or to the Carlyle Healthcare Center Activities Department and will be received at Zieren Funeral Home.